Ever since we interviewed the founder of Keto Bars we knew we had to try to replicate these amazingly tasty bars at home. If we're being honest, the homemade version isn't quite as tasty or as portable as the real thing, but it comes close! If you want to learn more about Keto Bars check out this interview and head on over to their website if you want to give the bars a try for yourself! We are huge fans of the age old combo of coconut and chocolate. Usually we find ourselves using shredded coconut in our recipes, but for this one we went all out and got an actual coconut! Yes, you're going to have to go through the trouble of cracking it open and extracting all of the delicious meat, but it's worth it for these keto bars. 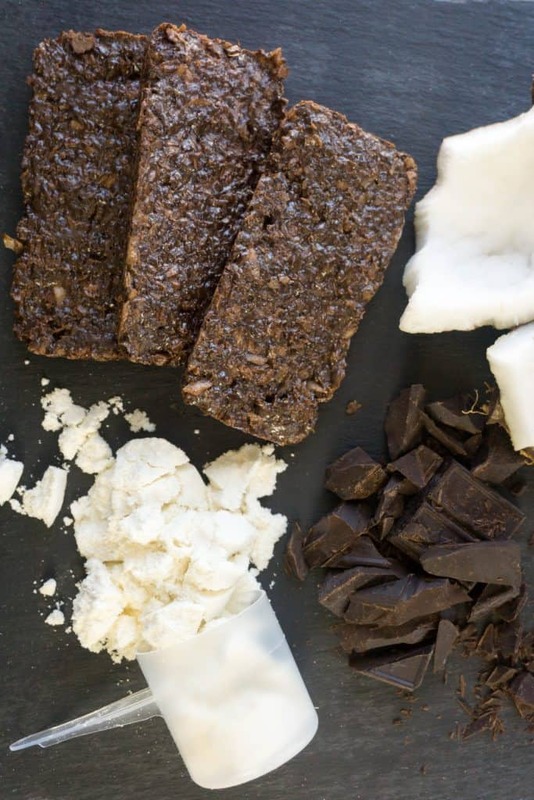 Using real coconut gives this keto bar recipe the added moisture and freshness it needs. Everything works together harmoniously in these high fat, low carb bars! We tested this recipe a few ways before finally settling on this method. We tried melting everything together over a double boiler, and while they came out pretty good, the "chop and bake" method is simpler and overall tastier. Basically, once you've got your coconut opened you just have to throw the rest of the ingredients into a food processor and pulse until everything is roughly chopped and combined. After that you just bake it and allow to cool. Voila, you've got keto bars for the week! The problem with "keto protein bars" is that they are so high in protein and relatively low in fat. 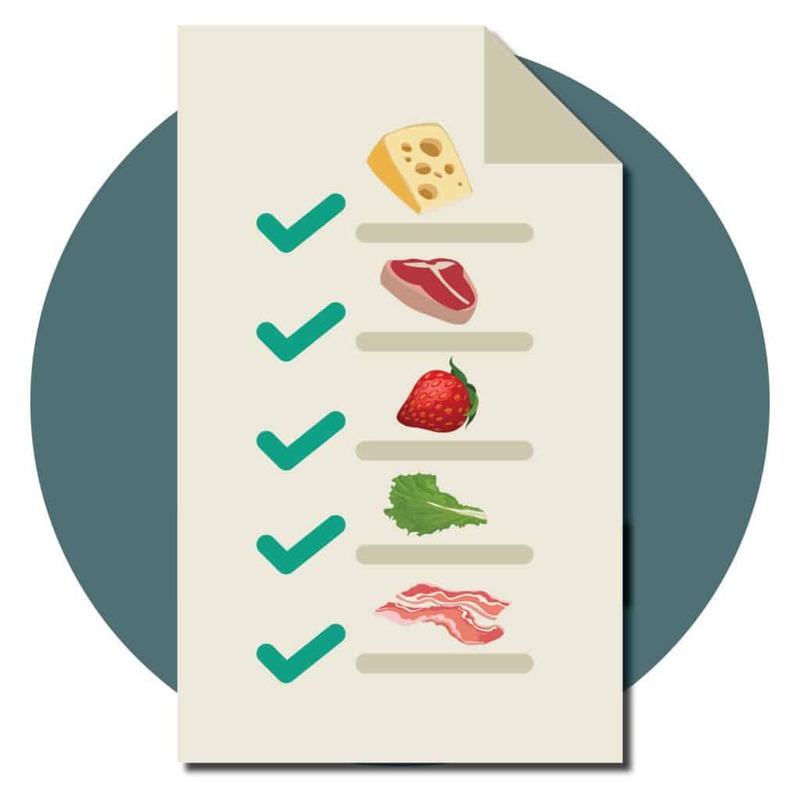 That's a one way ticket out of ketosis! These keto bars pack in a modest amount of protein while delivering a bounty of healthy fats. They are relatively easy to make and in just 30 minutes you can have a weeks worth of keto bars ready to go. Definitely give these a try and be sure to watch the video included in this post for more in depth instructions. If you're looking for some other keto friendly travel options be sure to try these Cocoa Roasted Almonds or our Homemade Quest Bars! Recipe can be quickly added to MyFitnessPal - Search "KetoConnect - Keto Bars"
Combine all the above ingredients into a food processor and combine. Stop, and push al the ingredients down off the sides with a spatula and process again until all the ingredients are fully immersed. Form into six bars on parchment paper or into bar molds. Bake in a 250 degree oven for 20 minutes. Allow to cool prior to eating. Sore in fridge put to 3 weeks. Enjoy!